The distressing news Willow Smith told her mum Jada Pinkett Smith while on camera. Please note this post deals with issues of depression, mental health, and self-harm. 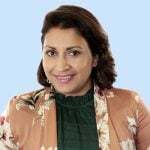 Please contact Beyond Blue on 1300 22 4636, or Lifeline on 13 11 14, if you are distressed. 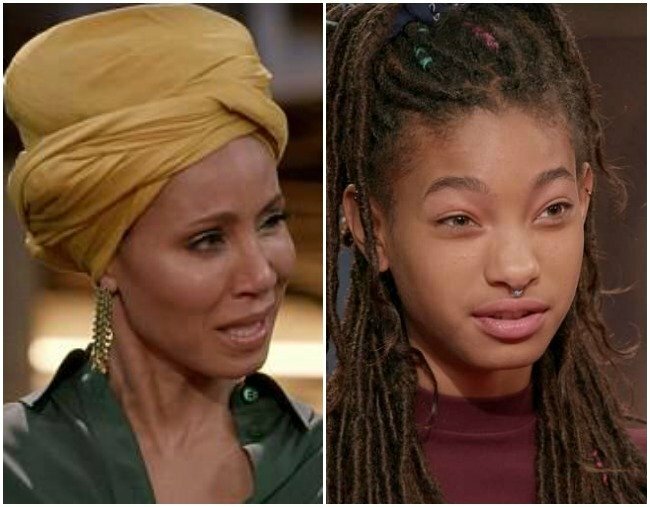 Willow Smith, daughter of Hollywood veterans Will Smith and Jada Pinkett Smith, surprised her mother with some very distressing news on an episode of Red Table Talk last year. The Facebook Watch talk show, which features the mother/daughter duo as well as Jada’s mother, Adrienne Banfield-Jones, focussed its second episode on dealing with loss. In the video, Pinkett Smith asks Willow, 17, what her greatest loss has been. It is then that the teenager reveals that she felt she struggled with her “sanity” after the 2010 release of her song ‘Whip My Hair’. She was just 10 years old at the time. “It was after that whole ‘Whip My Hair’ thing and I had just stopped doing singing lessons and I was kind of just in this gray area of, ‘Who am I? Do I have a purpose? Is there anything I can do besides this?’” Willow says. Pinkett Smith and Banfield-Jones are shocked and distressed to learn that the child was in so much pain without them knowing about it. Willow further reveals in the video that she kept her self-harming completely secret from her family, but did confide in a friend. She explains that she eventually stopped the behaviour, much to the relief of an emotional Pinkett Smith. “Willow, I had no idea. I never saw any signs of that,” the mother says. The discussion on Red Table Talk. Source: Facebook. &apos;Red Table Talk&apos; aired its first episode only a week ago, but since then has generated headlines for its honest conversations. The first episode featured a discussion with Will Smith&apos;s first wife, Sheree Fletcher, about the challenges of becoming a blended family. Pinkett Smith had started dating the actor while he was still married to Fletcher, with whom he had a three-year-old son, Trey. Despite Pinkett Smith and Smith now being married for 20 years, the women could clearly recall the emotions of that time, making for refreshingly real viewing. The second episode of the show, featuring Willow&apos;s revelation, has also made international headlines, with the hope that greater awareness of the issue will lead to more people seeking help. Please see The Beyond Blue website for further information about self-harm: www.beyondblue.org.au.